Learn how personal liability insurance benefits you! Accidents are a part of life. They’re unintentional. However, they can land you in serious trouble. Whether you’re in a car accident or someone trips on a rug in your home, you could be held liable for damages and injuries. While most of us have auto and home insurance to help protect ourselves from these sorts of disasters, these policies come with limits. If damages exceed these limits, you’re left paying out of pocket to cover the difference. Personal liability insurance, however, can help you pick up the pieces. 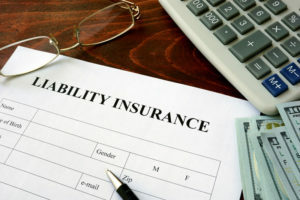 Check out what you need to know about personal liability insurance and why you need it. Personal liability insurance is a special policy that gives you extra insurance coverage to cover the costs associated with liability claims. Whether you cause an accident on the road or someone gets injured while on your property, personal liability coverage helps to cover the costs for medical bills, damage repair, and legal fees. It’s extra coverage to help cover liability issues if you should exceed your regular auto and home policies. Why You Need Personal Liability Insurance. Life is unpredictable, and accidents happen. You need personal liability insurance for peace of mind. In the event of a mishap, personal liability insurance protects you from financial ruin. If damages from an accident exceed that of your policy limits, you’re left paying out of pocket. Personal liability insurance, however, a necessary safeguard that everyone needs so that you can rest easy knowing that you’re protected. Don’t be left without the necessary insurance policies. Get the right personal liability insurance so that you’re well protected. Contact the professionals at Robert J. Los Insurance Agency to find you the right insurance plan. Located in Hamburg, New York, we serve all your personal and commercial insurance needs.